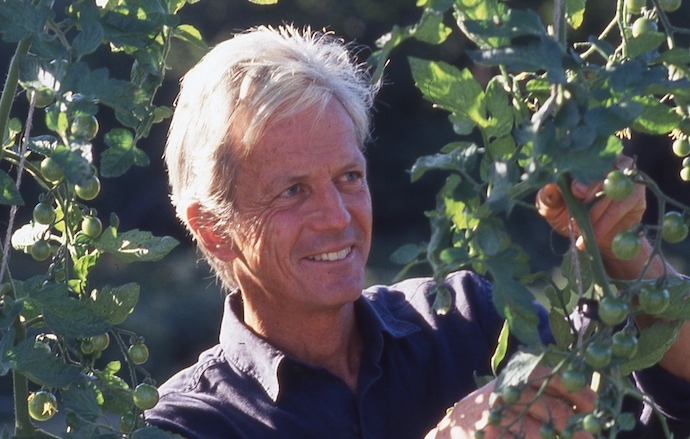 Eliot Coleman has been involved in organic farming since 1966. He has experience in field vegetables, greenhouse vegetables, rotational grazing of livestock, and range poultry. He is the author of The New Organic Grower, Four Season Harvest, and The Winter Harvest Handbook. He has contributed chapters to three scientific books on organic agriculture and has written extensively on the subject since 1975. As a commercial market gardener, director of agricultural research projects, and consultant and lecturer on organic farming, he has studied and practiced all aspects of the craft. He served from 1978 to 1980 as executive director of IFOAM, the International Federation of Organic Agriculture Movements, and was an advisor to the U.S. Department of Agriculture during their landmark study, Report and Recommendations on Organic Farming. Eliot presently owns and operates Four Season Farm, a year-round market garden in Harborside, Maine.